Due to the nature of spring energized seal applications, a wide range of available seal jacket and seal spring materials are offered to customers to provide an engineered product that fits with the entire scope of their various applications. 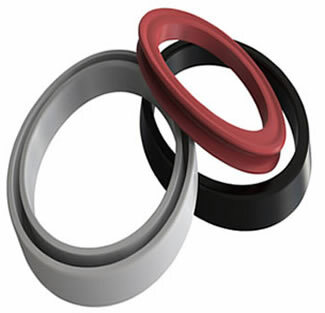 Spring Energized Seals will excel in applications with high speeds and corrosive media, where traditional elastomers fail. Oil Seals are a good resource for any application where dirt, dust or other foreign matter needs to be sealed out, and or oil or grease sealed in, to protect the bearing on a rotating shaft. These seals usually consist of an outer case made of steel or an elastomer, and a sealing lip made out of an elastomeric or thermoplastic material.